A few weeks back, we were invited along to The Alchemist in Nottingham to sample their food and explore their kids menu. 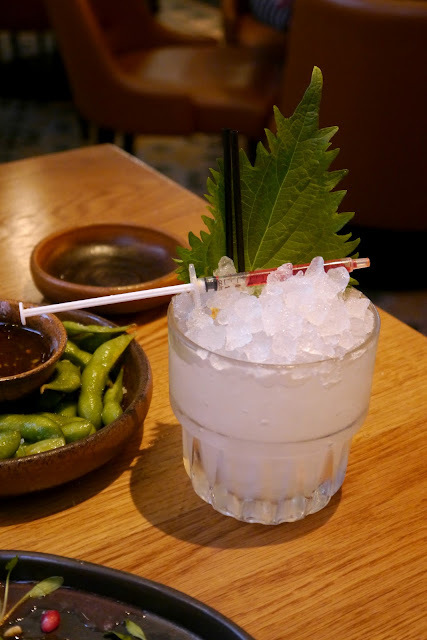 When The Alchemist first opened here, I have to admit, I thought it was just a place for adults; an extravagant cocktail venue, not particularly suitable for the mini folk. But it appears my first impressions were off and the team invited us along to find out just what they have to offer for the little people as well as us grown ups. 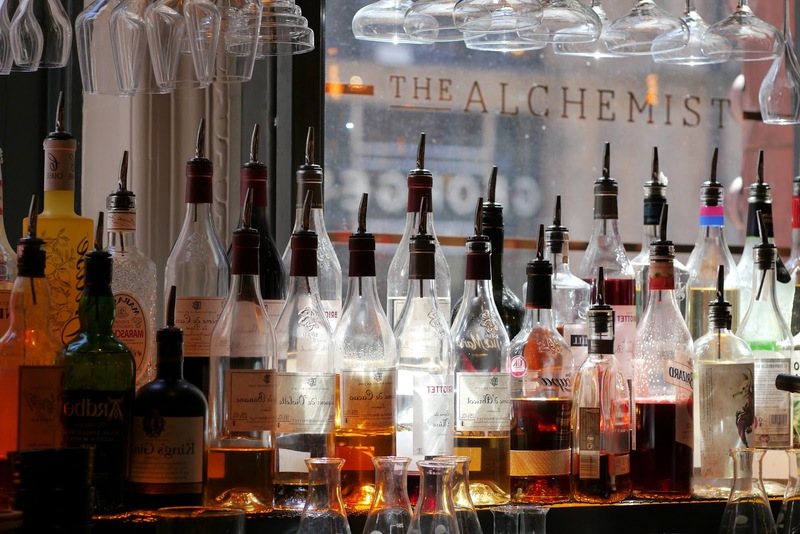 Located in the old Prudential Assurance building, one of Nottingham's finest example of Victorian architecture, the sympathetic interior stylings of The Alchemist made much better use of the space than previous inhabitants had done. The internal design made great use of an alchemy theme, the walls covered in scientific diagrams and the shelves lined with glass flasks and tubing. Even with the presence of a few hen parties, it still felt pretty chilled out. We were seated in a booth and it felt like we were in a little private bubble of our own. 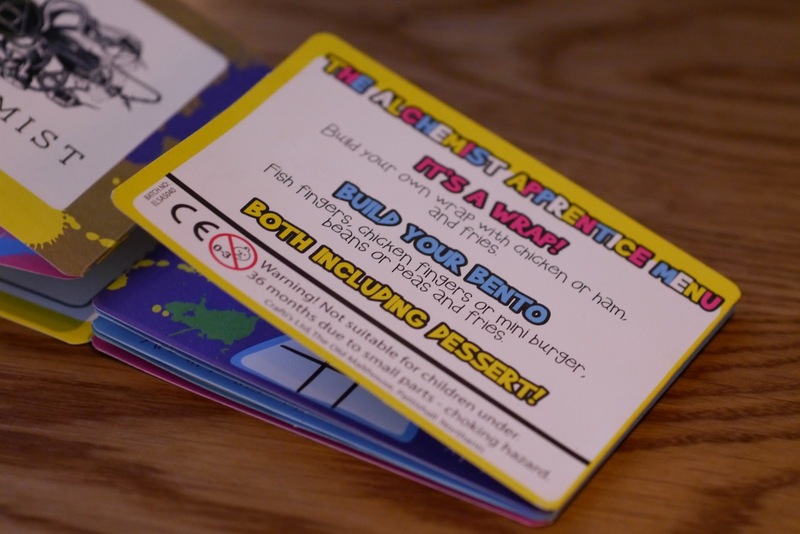 The children's menus come in a little packet with some crayons, it isn't a huge menu but then kids menus never are; however with a choice of wraps or a bento box, it really didn't need to be as these will satisfy even the fussiest eaters in my opinion. The kids picked what they wanted and set about colouring in, drawing and playing noughts and crosses. 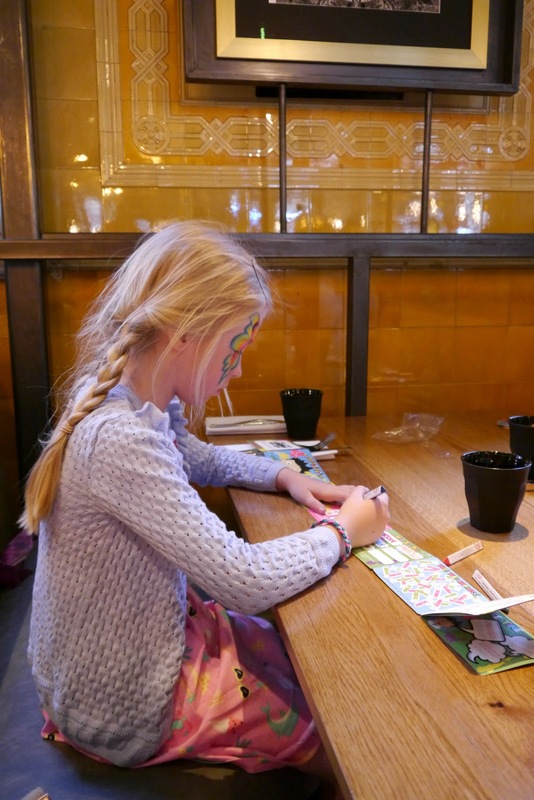 I loved that were were several things for the kids to do in their activity books and it pretty much kept them occupied until our food arrived at the table. The adult menu is extensive and I loved the choice and flavour pairings. 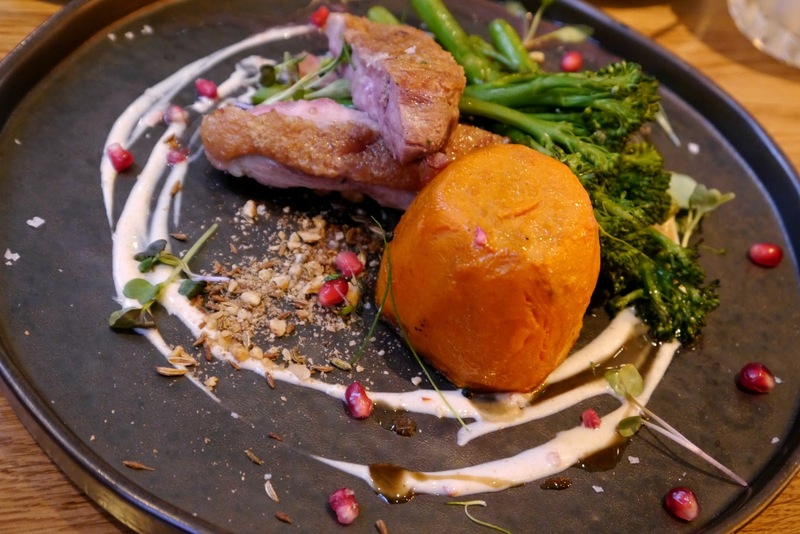 I went for the duck with tender stem broccoli, harissa yoghurt and sweet potato fondant. The combination of sweet potato and spicy harissa worked really well and it was cooked and presented to a high standard. 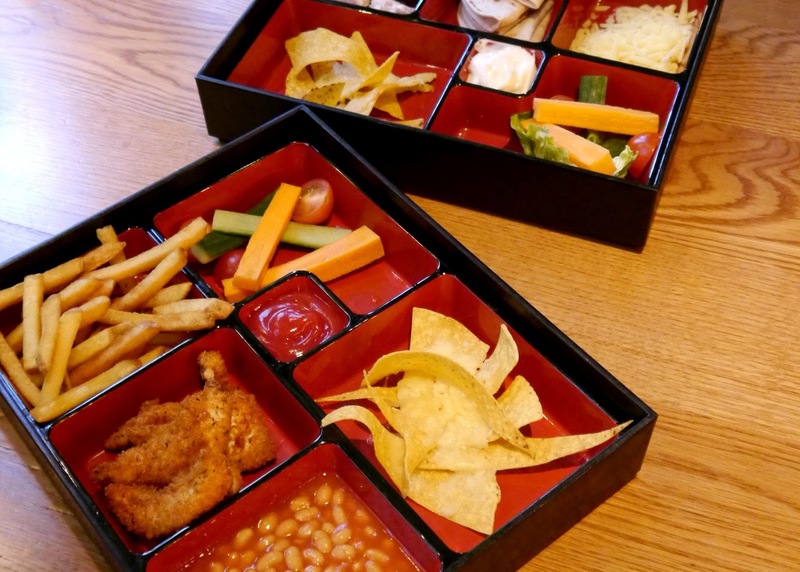 The children's lunches came in Japanese style Bento Boxes, we use a Yumbox Bento box for school packed lunches and they have always worked really well. The portion sizes were above average and they came with all of the food groups covered. I obviously had to try a cocktail, our waiter went through the menu in detail explaining the different types and what we could expect from the more theatrical options. 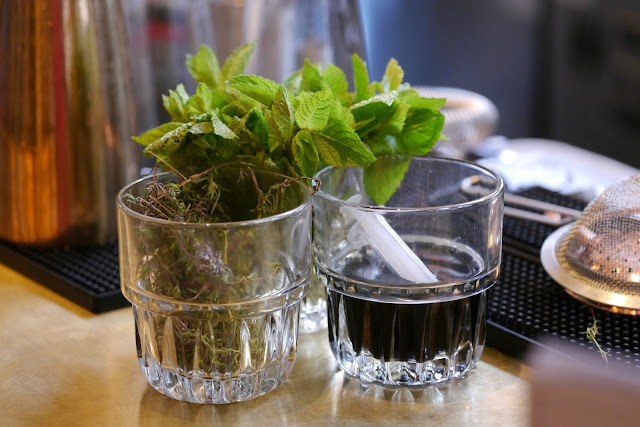 I opted for the Tickle Me Pink, a mix of Portobello Road Gin, St Germain, Lime and Nettles. It came with a syringe full of a stingy liquid which you swished in your mouth and it tingled like nettles. It was a fun way to enjoy a cocktail, looking round the room there were lots of different cocktails being delivered to tables and they all looked just as exciting. 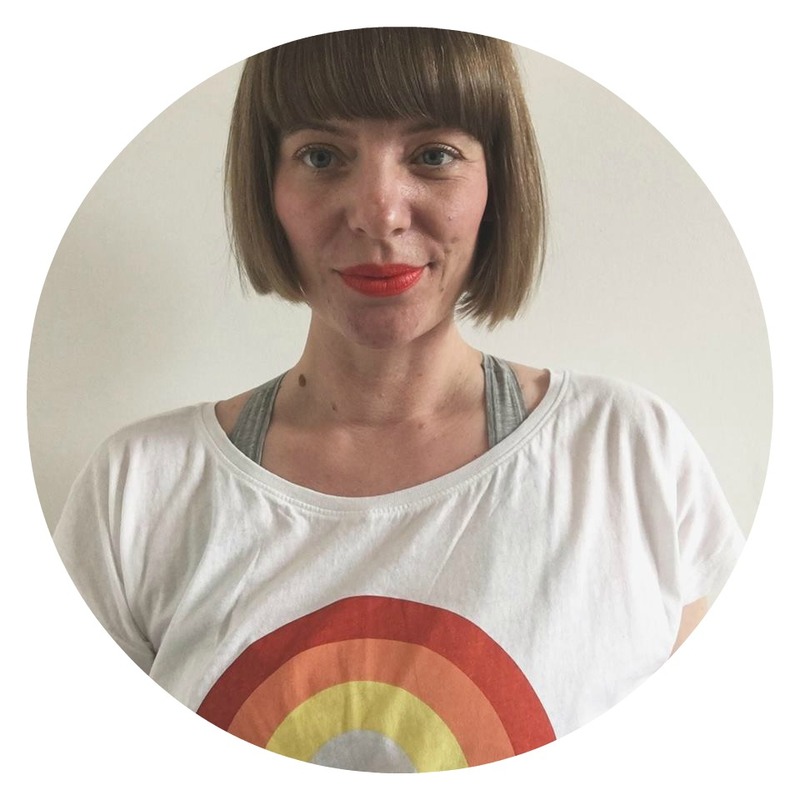 I loved the mix of industrial, modern and original features that made up the room, the staff were all really friendly and the service was great. 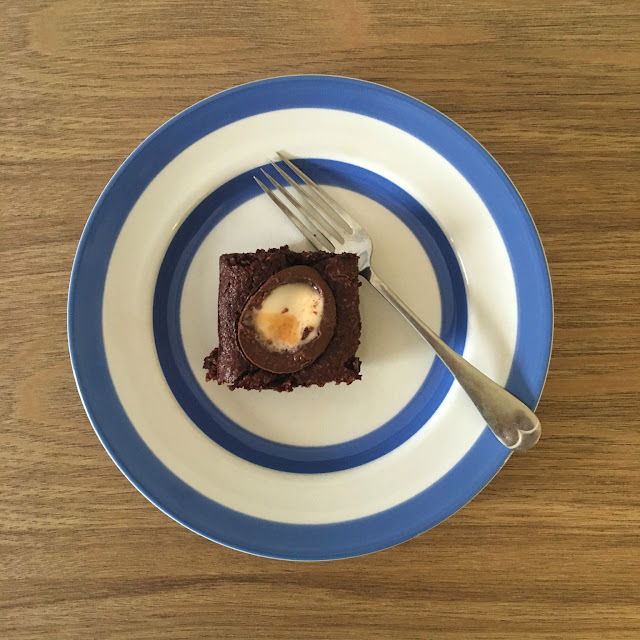 I loved that I was able to enjoy a really tasteful meal out with my children, there were meals to suit all budgets and tastes and although it can get expensive with the addition of cocktails it was a nice treat and is definitely somewhere i'd take the kids back to if I fancied a nice meal with them in tow. 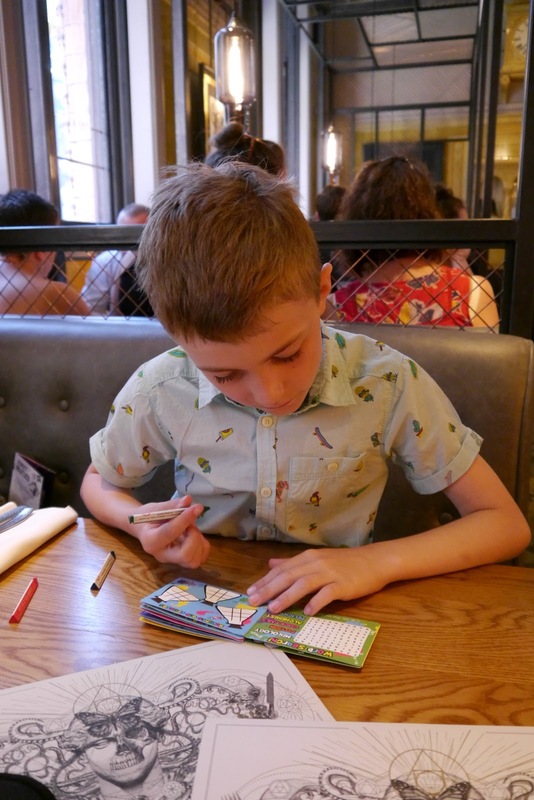 The addition of the children's menu come colouring book is great and the theatrics of the food and drinks made it an enjoyable experience for all. We were invited to The Alchemist to try their kids menu, all words and opinions are my own.